A fairy tale erotica story!!! Example of Pearl's Wiccan Shop! Councilman John Peterson was in front of Pearl’s wiccan shop trying to calm the herd of the towns people. The towns people were gathered in front of the shop chanting words like “Hell No we won’t go until the witch is dead” and “Kill the witch or run her out.” They were holding up signs that read KILL THE WITCH! The towns people were very angry at Pearl vixen who practiced the dark arts, because she was turning their children into witches. They did not like it when their kids would come home with spell books and enchanted candles and crucifixes. The wiccan shop was a place where the kids would go and learn about the dark arts. They were interested in it and would go there after school. They wanted to learn and Pearl had no problem teaching them. This would make them go home and practice what Pearl taught them. It angered their parents because the spells that was being taught was either to change their physical looks or to hurt someone or something in different ways. A girl wanted her Mother and her Mother’s boyfriend to stop seeing each other, because she hated the boyfriend. She seeked Pearl for help. She taught her a spell and it made her Mother and her boyfriend fight. They later on broke up. Another kid seeked Pearl for help. He wanted his Mother to stop arguing with him about his bad grades and leave him alone. He cast a spell that made his Mother not care anymore about pretty much anything. She stopped caring about his grades. It was like she was a zombie at times; not giving a damn about the world. The councilman along with other authorities tried to clear out the crowd of people. He promised them that he would talk to the witch and take care of the situation. The crowd was furious but after a heated speech from the head councilman, they cleared out. 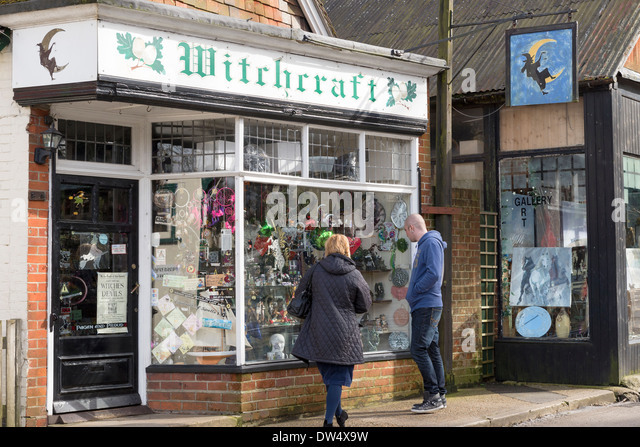 After everyone had cleared out, John turned around and took a good look at the wiccan shop. There were books, voo doo dolls and spell candles displayed on the display window and a sign at the top of the door that said Pearl’s Wiccan and Pagan shop. The door had a whole bunch of Juju crystals hanging from it. “This place gives me the creeps,” said John to himself. He walked over to the window and peered inside. The place was dark and he thought he saw Pearl herself sitting down in a chair staring straight at him through icy black eyes. Her eyes looked scary and un inviting, which made him cringe with fear. Someone touched him on the shoulder and he jumped backwards. “Councilman Peterson, the crowd has finally cleared,” said a young police official who was with him trying to calm the crowd earlier. “Is she in there?” asked Officer Donald. “Yes I know. She has to be eliminated from this town. She has been causing quite a steer and it doesn’t seem like she gives a damn,” said the councilman. “Well John I presume you will take care of her. You are the head councilman and you are the most important one. I know you will do something about this foolish woman,” said Officer Donald. “Yes I will. I have to go now, but thank you for helping me with the crowd,” said the Councilman as he walked to his car and got in. John Peterson watched from his rare view mirror as Officer Donald hopped into his car and drove past him. He looked once more at the wiccan shop; and then drove off. Councilman Peterson and his fellow directors was at a council meeting at the Town hall. They were all seated around a huge rectangular table discussing the witch Pearl Vixen. They were discussing how to get rid of her. One man said burn her at the stake and another said lock her up in the mental asylum and leave her there to die. All suggestions were turned down by Head councilman Peterson. He wanted something not to gruesome or vicious. He wanted the witch to die happily. He wanted to kill her in a way that she would not suffer. Just then one of the committee members came into the room. He had something to tell John. “John your daughter’s lover is here to see you,” the member whispered into Johns ear. “Can’t it wait?” asked John. John wondered why Patrick Hunt would bother him at his meeting. He wondered what was so important. “Bring him in,” said John. A few minutes later Patrick came walking into the meeting room. “You have something to tell me young man?” asked John. “Yes but it is kind of private,” said Patrick as his eyes roamed the room of board members. “Okay…. Well Mr. Peterson I came to ask you for your daughter’s hand in marriage,” said Patrick nervously. John was shocked by what Patrick was asking him. He cringed at just the thought. “No young man you cannot marry my daughter. You are just a peasant; an ex-military soldier. What kind of life can you give my daughter?” said John Peterson. “Yes I know I don’t have much, but I can promise you I can give her a world of happiness and safety. She will never have to be hungry or do without at my care,” said Patrick. “No son and I mean no,” said Councilman Peterson. Patrick gave up and turned to leave. As soon as he turned to leave, the councilman had a thought. “Hey Patrick,” said the Councilman stopping young Patrick in his tracks. “Yes that’s her. I have a very important job for you to do. I need for you to befriend this witch. Hell you can even become her lover. Yeah that’s better; become her lover. I want you to befriend her and become her lover, and then I want you to earn her trust. As soon as you do that, that will give you the advantage to eliminate her. You know what I mean by eliminate, right?” said the Councilman. Example of Patrick Hunt's look! Just then all the board members started whispering amongst each other and shaking their heads. “Yes I know what you mean. You want me to kill her,” said Patrick. “Yes sure I can bring you anything you want me to bring you,” said Patrick proudly. “Okay remember she always at the wiccan shop on main street if you want to find her,” said the Councilman. Patrick slowly turned around and left the board room. Patrick stood in front of Pearl’s Wiccan shop and looked up at it. He knew what he was there to do. He knew he had to somehow get the witch to loosen up and invite him into her heart. He knew she would not trust him at first, but he was determined to win her trust. He walked over to the display window and peered inside. He saw nothing but darkness. He decided he would ring the bell; she just might be inside. He was not going to leave without knowing if she was there or not. He rang the bell several times until a raven haired young woman dressed in all black opened the door. Example of Pearl's look in this scene! “May I help you?” she asked him looking at him through glass black eyes. “I’m not renting at the moment,” she said as she proceeded to shut the door. Patrick stopped the door from closing with his foot. “I can pay you double the price. I really need a place to stay,” he said. The woman stared up at him with a blank stare. It seemed like she was contemplating on if she wanted to give him a room or not. “Okay come on in. I have a room in the back you can stay in,” said Pearl as she opened the door to let Patrick inside. Patrick grabbed his luggage’s from the ground and stepped into her shop. She led him across the Wiccan front room and into a dark back room. She flicked on the light to find a room full of books and wiccan supplies. It was like she was stocking up back here. The only think that made the room look like a bedroom was that there was a king sized bed in the corner and a little bedside table beside it. “Yes I would greatly love that,” said Patrick. Pearl left the room to tend to the food she was cooking in the little kitchen attached to the shop. Shortly after she came back into the bedroom with a tray with a bowl of soup and crackers on it. “Here you are,” said Pearl as she placed the tray on the table. She turned to walk away when Patrick grabbed her by the wrist to stop her. “Don’t go now. Come sit down and talk to me,” he said. She hesitated for a minute but decided to join him. She sat down on the edge of the bed next to him while he sipped on his soup. “I hear you are making quite a steer up with your craft,” said Patrick. “And wear did you hear that from?” she asked turning her head to look at him. “Well it’s been the main topic around town,” said Patrick. “Because this is my home. I’ve lived here all my life. I just can’t get up and leave just because the town want me too. I have better pride than that Patrick,” she said. Patrick stopped eating and stared at Pearls face. “Wow you are beautiful. Your complexion is gorgeous; it’s so pale and fair. I’ve never seem someone with beautiful black eyes like you. Your eyes are definitely one of a kind,” said Patrick. Pearl started to blush and looked away to stare down at the floor. Pearl raised her head up and stared into Patrick’s blue eyes with a touch of green in it. “There we go Pearl. I always want to see those eyes.” He stared at her for a minute, trying to contemplate if he should kiss her or not. Just go for it, he said in his head. He leaned into her and gave her a tender kiss on the lips. He grabbed her by the waist and pulled her closer into him. He could feel her body melt from his gently touch. She suddenly realized what was happening and released his kiss with a yelp. “I’m sorry did I hurt you,” said Patrick with concern. “No you did not. Look I can’t do this. I have to go,” she said as she got up from where she sat and bolted out of the bedroom, leaving Patrick alone and dumbfounded. Thanks story, ive guessed right because you have already read it. Powerful story Lolitagirl... I also see the improvements you have made! Keep up the good work!